It's none of that! It's a rememberence of the first Howl held by members of AHWW during the first full moon of November. This year, that date is the Beaver Moon, Friday, November 23rd. The first full moon of November has been a sort of de facto "Therianthropy Day" since the mid 1990s. It was when, 24 years ago, on the weekend of November 19 & 20, 1994, the first official AHWW howl was held. I was unable to attend it, although I did make the two that followed. I was a broke college student and had no transportation at the time. It was fun reading the post-howl reports on the newsgroup, though. I always felt it was a good time to have an official celebration of therianthropy, since the AHWW newsgroup itself was created in November, 1992. Very momentous for therians, November is. It was first proposed as a sort of holiday in March of 1996. Ultimately, AHWW decided to use it, and it stuck. 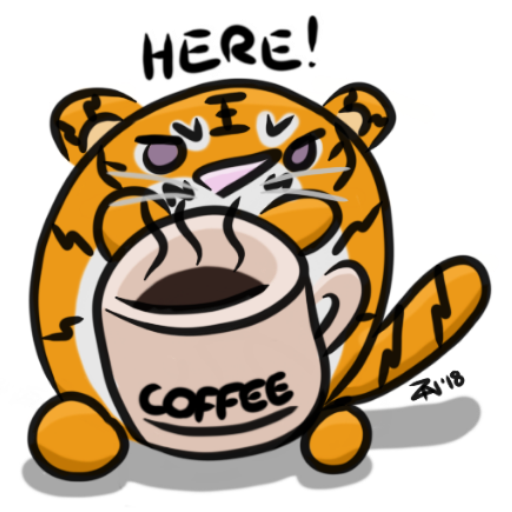 It went through a few iterations of names, "International Werewolf Day", and then the less species-specific "Awereness Day" (since were is the older term for therian), and after the term therianthropy caught on, "Therianthropy Day". I'm definitely excited for this. I plan to spread awareness in the days leading up to and after that day as well. Wolf Father & Pup Sitter/Horrible Human! 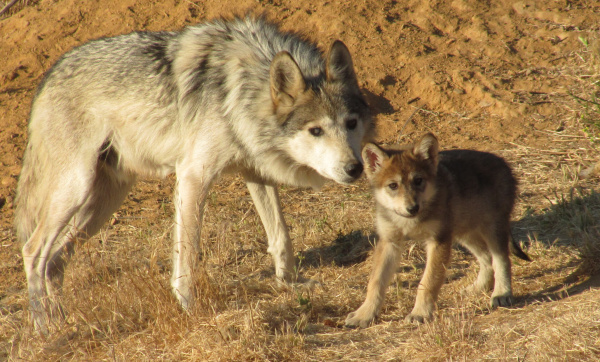 Mexican Wolf Dad and Pup. Wolf who has HUMAN mental shifts. Horrible human being, NOT worth living but does! 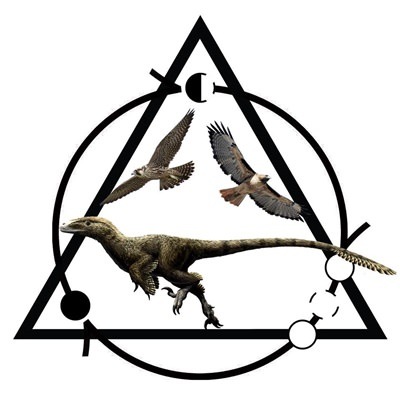 I'm going to try and spend Therianthropy day, Connecting to my theriotype and watching Therian videos. Folkways are characteristics of a strong community. I'm not very ritualistic but I support the formation of were holidays because it helps to "synchronize" us. I've mentioned that I've noticed that weres tend to be in tune with cycles - music and dance (on the micro scale) and seasons (on the macro scale). Ulfrvif mentioned elsewhere that, if an older wolf dies in a wolf pack, the traditions of that generation dies with them. The pack loses knowledge. Communities also need a tradition to be strong and vital. We had a thread on Forest Horizon about forming a sequence of observations for the were community during the year. For one, Halloween might be good for fun and games, but it has also (always?) been there to remember those who went before us. We're losing our history - even our recent history. I've been told that all the emphasis on individual therianthropy down to the color of one's fur was "for fun". That's okay, but when the majority focus in the were community is self service, we can't expect a strong community. We need to shift some of our focus to the community. We need to think about what we mean to the community as much as what the community means to us. We're very human in many ways. In working with churches, I've noticed that a broad tendency is to see the church as a place to obtain self-affirmation. So, on a small imagined or real slight a church goer will abandon the church they have attended for years, ignore the services their church provides for the community (obviously the church is all about them) and move their membership to another church where they feel "comfortable". I see the same behavior in online were forums and even in offline groups. Therianthropy is not that trivial - it's not "about me" and we need to broaden our sites. If therianthropy is "about me" we don't deserve to continue. (2018-09-20 18:10)WolfVanZandt Wrote: Folkways are characteristics of a strong community. I'm not very ritualistic but I support the formation of were holidays because it helps to "synchronize" us. I've mentioned that I've noticed that weres tend to be in tune with cycles - music and dance (on the micro scale) and seasons (on the macro scale). Well then, We need to get the message out about how Therianthropy day is not about just one person, But the community as a whole. I guessing to us ''older'' therians we know that Therian day isn't about us. But do the younger therians know that.? If they don't, Then we need to tell them and show them that they are part of a much larger community other then themselves and they need to understand that being part of a community like ours comes with responsibilities in representing our community. If you are talking about the future of our community, We aren't they our future Therians. And perhaps it's not about "community" but "communities'. I'm a member of several and through me the therian community adjoins many others - that multiplied by how many therians? It's perhaps auspicious for me that I will be attending a conference tomorrow at Denver University about creating inclusive, neurodiverse friendly communities. Maybe it'll get me into the right mindset. (2018-09-20 14:33)BearX Wrote: This year, that date is the Beaver Moon, Friday, November 23rd. Holding it on the full moon seems wonderfully appropriate! BearX Wrote: Very momentous for therians, November is. *nods* For me, personally, too as it was in November when I finally learned the term for what I'd been experiencing my whole life. I suppose that I've been out of the loop for so long I didn't realize we had a day. I will have to try to remember it and perhaps dress accordingly. (2018-09-20 18:10)WolfVanZandt Wrote: I've been told that all the emphasis on individual therianthropy down to the color of one's fur was "for fun". That's okay, but when the majority focus in the were community is self service, we can't expect a strong community. We need to shift some of our focus to the community. We need to think about what we mean to the community as much as what the community means to us. (2018-09-20 22:11)WolfVanZandt Wrote: And perhaps it's not about "community" but "communities'. I'm a member of several and through me the therian community adjoins many others - that multiplied by how many therians? It's perhaps auspicious for me that I will be attending a conference tomorrow at Denver University about creating inclusive, neurodiverse friendly communities. Maybe it'll get me into the right mindset. (2018-04-21 19:40)LycanTheory Wrote: I purpose that we make a tradition of going out of our way for someone else. They don't have to be therian or even human at all. Can be a totally random person or animal, not necessarily friends or family. Doesn't have to be a gift or anything special, perhaps just a few genuine words of encouragement, whatever one can do or offer. I joined Therian-Guide a week or so before Therianthropy Day last year in search of a community to invest in. Over the course of my almost-year here, I've come to agree that, while my personal and individual experience is important, it's only part of a much, much bigger picture. I am a piece of the therian community, which is a piece of a much larger "human community" (sorry to those who cringe at those words ha ha). Both require a tremendous amount of effort to support and sustain. Both are parts of a larger puzzle. While I understand the importance of the individual focusing on the individual, I agree whole-heartedly that it seems incredibly self-serving to focus exclusively on therianthropy out of context of everything else. Many of us have tales of survival and strife. It's important that we celebrate that survival. Our identities bridge something between animal and human. It's important that we celebrate that connection. Our individual experiences supplement diversity within the human experience and rely on the exchange of support from other humans. It's important that we celebrate that camaraderie. I was reflecting on this not too long ago but the more precise words I used have evaded me... Shifting is a vital component of the therian experience. Shifting. Change. What do we, or can we, change outside our own sense of "self?" As many of us grow and mature, that focus does become external. I try to use mine to support big cats and other endangered species whose futures are much more uncertain than those of humans. I try to use mine to support community members who are going through the struggles I've gone through. I try to use mine to figure out how to make what seems like a chaotic world at times at least a touch more friendly and balanced. So I agree. To a certain degree, the celebration of our personal therianthropy is important for this day; but maybe the shift should be on how we heal and interact with other communities, or the world at large. The application of insights gained from our experience toward building a stronger connection, rather than an effort at isolation. If we do so earnestly, perhaps the reward will be respect from the mainstream. Not to compare us to furries, but I look at their experience; the funds they raise for animal charities and many others, the good they push out into their local and widespread communities. Furries still have a long way to go to overcome bad media rap but they're trying, and making progress. If we as therians seem selfish, that progress may never come for us. Again, we are a piece of something far, far greater, though sometimes we're lost in the moment, in our personal views, in our personal experiences. How can we show others that our experience brings something vital to the table? That our hard-earned strength brings us the capacity to support? That we're not just here to demand and isolate? We're familiar with change. How can we bring it about? Food for thought but this year, I may try to figure out how to express some of this in observation of the howlyday.